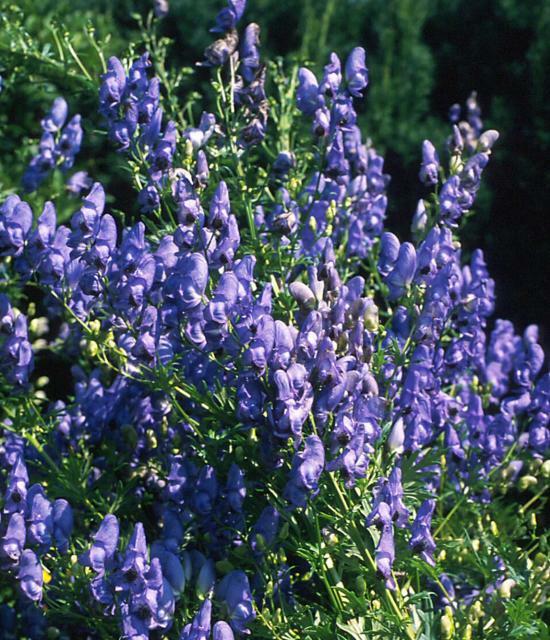 Aconitum fischeri produces upright spikes of lavender blue flowers in September. This species has particularly strong stems that do not require staking. The deeply divided dark green foliage is very attractive. This plant works well in perennial borders and cottage and woodland gardens and provides colour late in the season. All parts of Aconitum are poisonous. Always wear gloves when working with this plant. Aconitum fischeri is an easy care plant for rich, well drained soil in sun to light shade. All parts of this plant are extremely poisonous. Some people react with a skin rash to exposure to the foliage.